Disclosure: I received a sample product in order to conduct this review, however, all opinions are my own. If you are anything like me, you probably have at least one handy man on your Christmas list. I am always looking for goodies to give my man for the holidays that he can put to good use. He is not a very "gifty" kind of guy, he likes things that are practical. 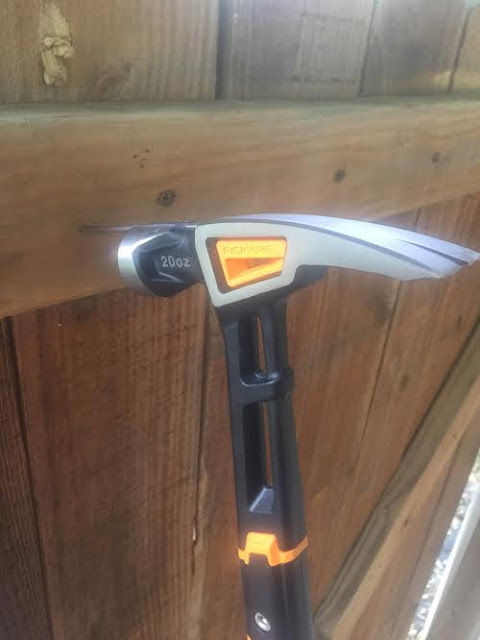 This year, I know he is going to be thrilled with the Fiskars IsoCore General Use Hammer! I am a girl, and I don't really care that much about hammers, but even I have to say, this is a pretty cool hammer! 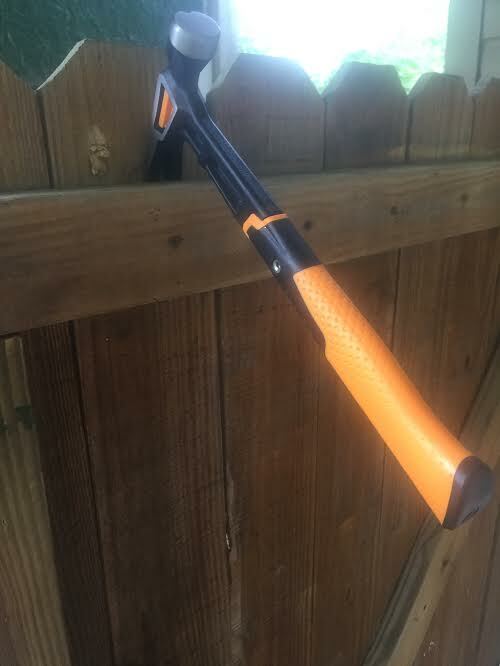 This hammer is really amazing, my guy is really enjoying it, and I am enjoying getting things checked off my honey do list around the house! One really cool feature is the magnetic nail starter groove. This groove holds your nail in place and makes it easier to start the nails, even when you are only using one hand. The patented IsoCore Shock Control System is actually designed to reduce stress on the body, by minimizing vibration and strike shock. This helps to reduce muscle fatigue and joint pain. This is really helpful, because I don't have to hear a whiny man at the end of the day! This hammer also has a lifetime guarantee, which is super important when buying tools. The length is 13.5", and the total weight of the hammer is only 20 ounces. I mean really, that is as heavy as a soft drink bottle! All in all, this is a great tool for everyday use, whether it be around the house or on a job site. It would make a great gift, or just a great purchase if you are looking for a new quality tool. 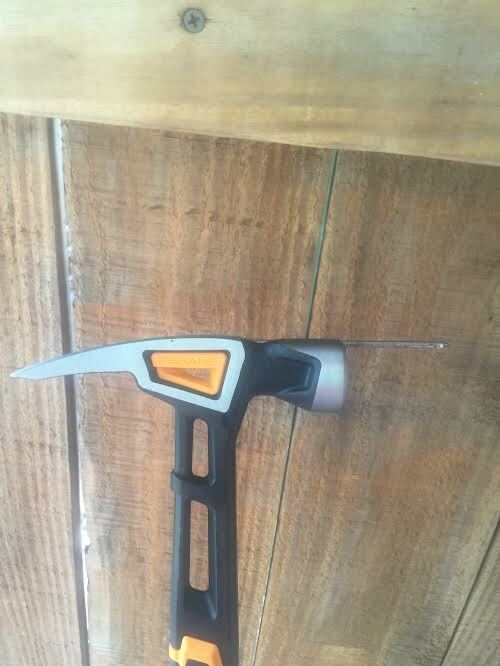 This hammer retails for $49.99, which is a great deal when you consider the fact that it is going to last a lifetime! 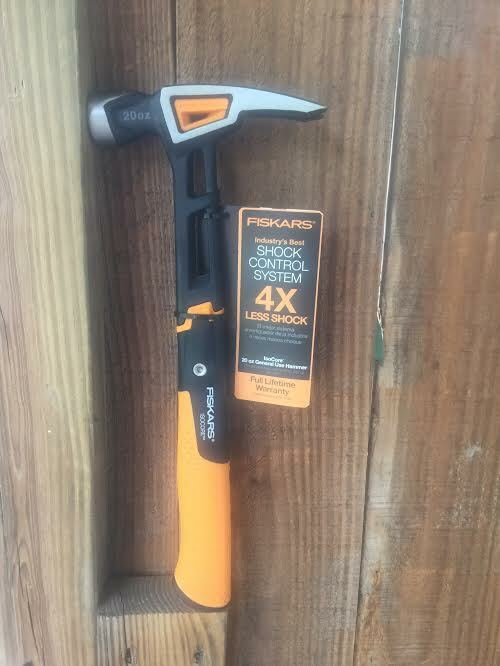 To purchase this hammer, or to see the other great products that Fiskars has to offer, visit their website. Also, make sure to join them on Twitter, Facebook, Pinterest and Instagram to stay up to date with the latest news and products!